The Windsor Card is a combination Windsor Gift Card and Windsor Rewards Card. 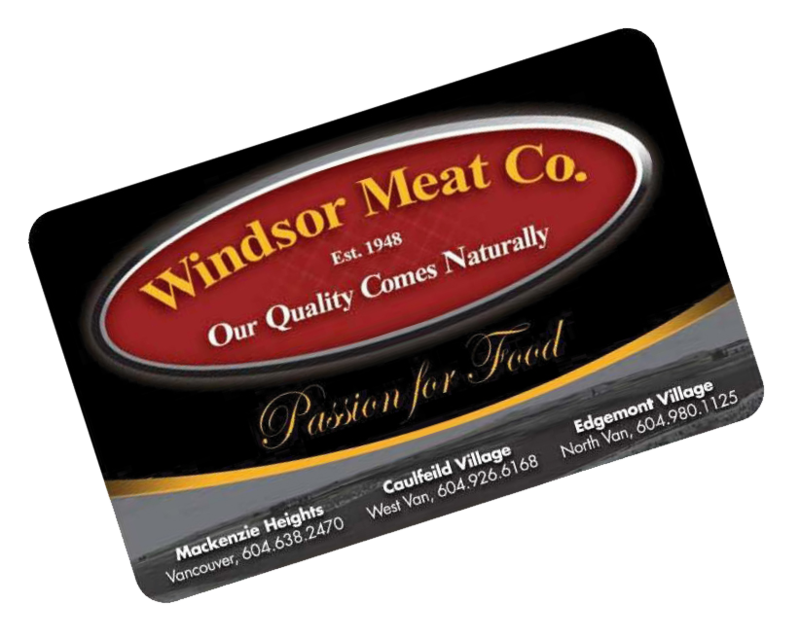 The Windsor Card is a prepaid convenience card that can be used to make purchases at any Windsor location. It can also be reloaded at any Windsor location. Whenever a Windsor Card is swiped for payment the cardholder earns Reward Dollars that accrue automatically on the Card. When Reward Dollars reach certain levels the cardholder is instantly granted a Windsor reward product. Is the Windsor card easy to use? Windsor Cardholders use their cards for payment – just like cash. The Card is presented for payment, the card is swiped, and the transaction is completed. No PINs, no signatures, no counting change. Cardholders get an updated balance on their card after every transaction. How does someone get a Windsor Card? Windsor Cards are purchased at any Windsor location. How much money can be loaded onto a Windsor card? The Windsor Card can be loaded with any value between the upper limit of $1000.00, and the lower limit of $10.00. How is a Windsor Card loaded? Windsor Cards are loaded by applying dollars using cash, credit card, or debit card.